We are dealing on Winding Rewinding Machine With Inkjet Printer for salvage rewinding. It is with Line Guide System, Tension Control System and Convenient height for operation. 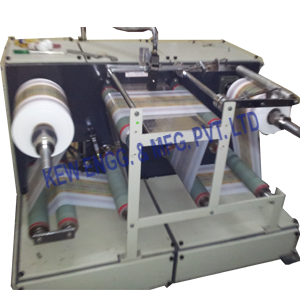 The Winding Rewinding Machine With Inkjet Printer is used widely for on-line printing of Mfg. Dt., Exp. Dt. Winding Rewinding Machine on custom application and client’s requirement.